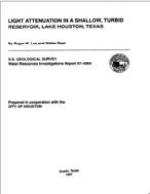 In cooperation with the City of Houston, the U.S. Geological Survey collects, processes, and interprets water-quality, streamflow, and reservoir water elevation and capacity data. 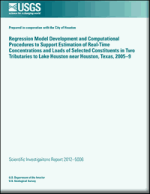 These data are collected to better understand the effects of urbanization in Lake Houston, a drinking water reservoir in Houston, Texas. 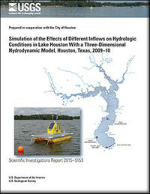 The combined monitoring efforts of Lake Houston and the associated watershed increase the understanding of the effects of natural and controlled inflows, nutrient and sediment loads, and water-column structure on the chemistry and biology of Lake Houston. 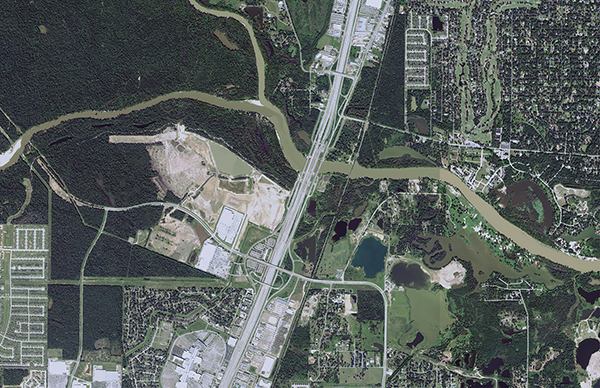 Lake Houston is a shallow reservoir on the San Jacinto River located about 25 miles northeast of Houston, Texas. The upper end of the lake splits into two arms that make up 97 percent of the watershed. 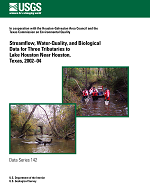 The western arm includes the West Fork San Jacinto River, Spring Creek, and Cypress Creek, together draining about 63 percent of the watershed. 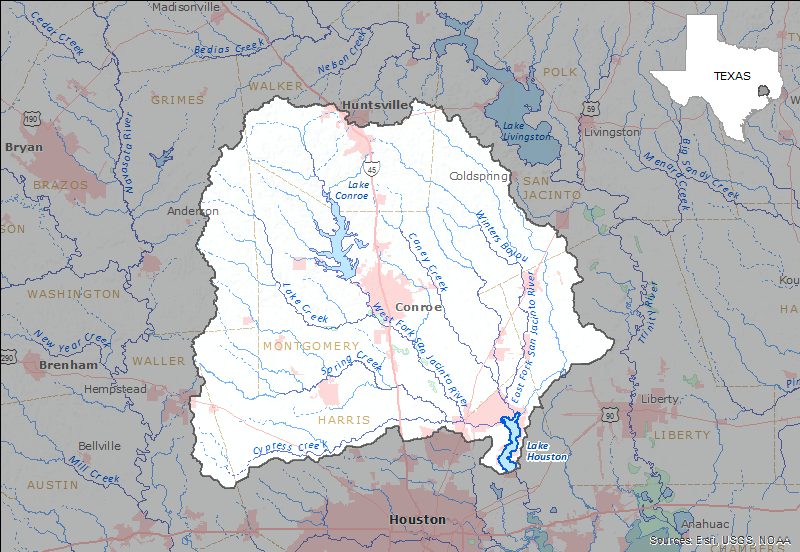 The eastern tributaries include the East Fork San Jacinto River, Peach Creek, Caney Creek, and Luce Bayou, draining about 34 percent of the watershed. 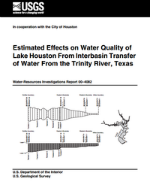 The remaining three percent of the basin drains directly into Lake Houston. 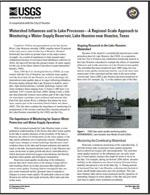 Differences in the land use and landcover between the areas that drain into Lake Houston can lead to differences in sediment quality. 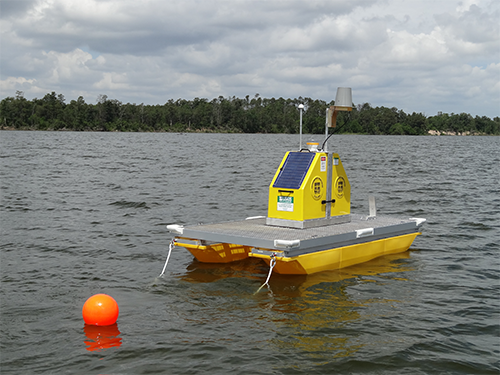 Hourly water quality data, including temperature, conductance, pH, dissolved oxygen and turbidity. 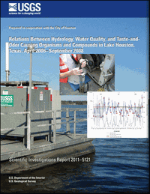 Real-time notification of water-quality changes in Lake Houston. 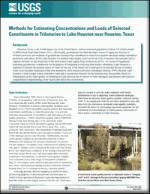 Water treatment facility operators the real-time data required to make informed decisions when adjusting treatment methods in response to changing environmental conditions. 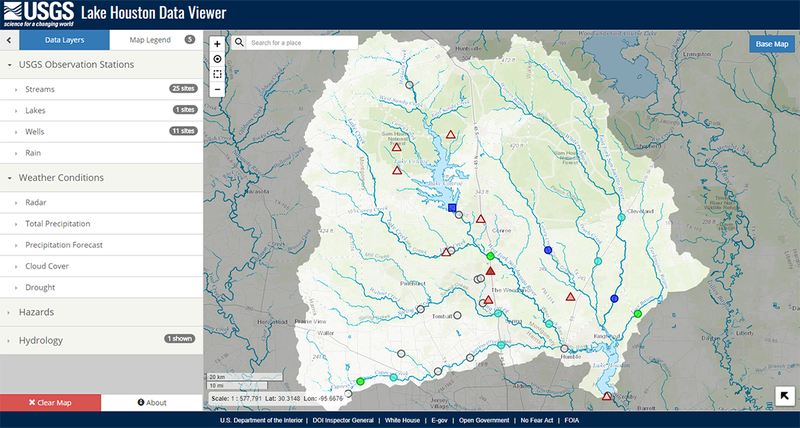 The interactive graph below shows turbidity measured at three real-time water quality monitoring locations within the watershed. 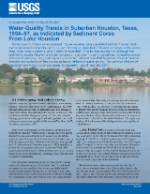 Typical and elevated turbidity ranges can be explored for all three water-quality locations to explore how changes in turbidity move through the watershed. 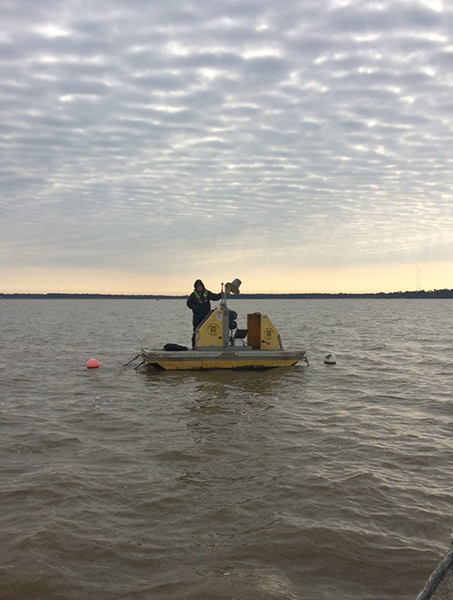 Results are used to better understand fluctuations of water quality concentrations and loads during changing seasons and flow conditions. 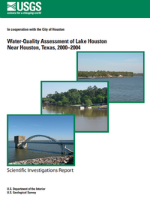 Turbidity, for example, can be used as an indicator for the presence of suspended sediment or algae in the lake that may cause taste and odor problems. As shown on the graph, low turbidity or base-flow conditions are seasonal and are often be seen during the month of October. 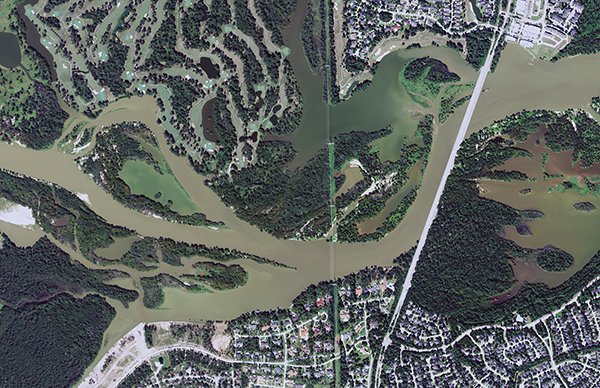 Left image: Typical turbidity at Kingwood, September 2016. 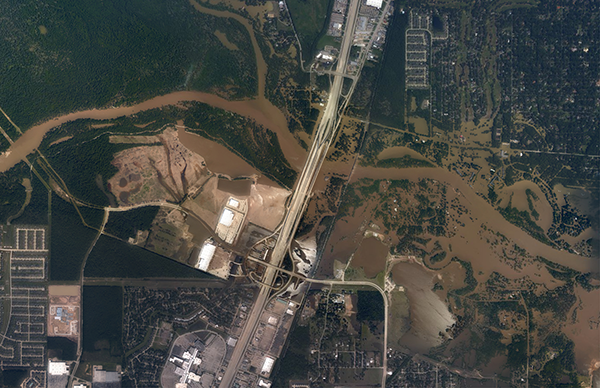 Right image: Elevated turbidity at Kingwood, August 31, 2017. 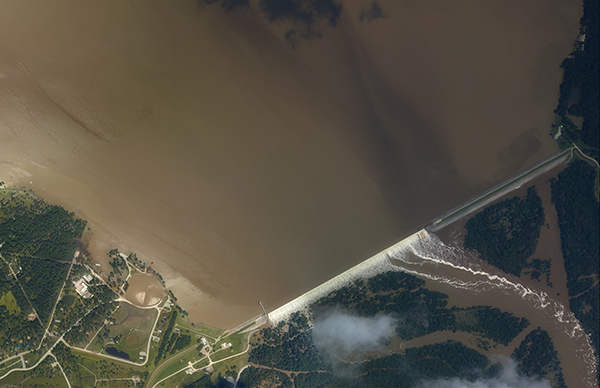 Left image: Typical turbidity at San Jacinto Dam, September 2016. Right image: Elevated turbidity at San Jacinto Dam, August 31, 2017. Left image: Typical turbidity on the West Fork San Jacinto River, September 2016. Right image: Elevated turbidity on the West Fork San Jacinto River, August 31, 2017. 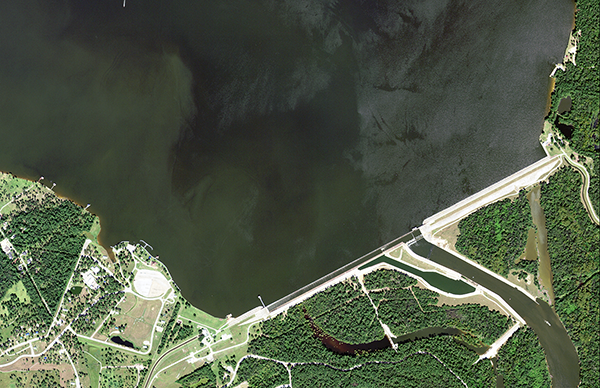 Typical turbidity images are from the U.S. Department of Agriculture (USDA) Farm Service Agency (FSA) Aerial Photography Field Office (APFO) National Agriculture Imagery Program (NAIP), September, 2016. 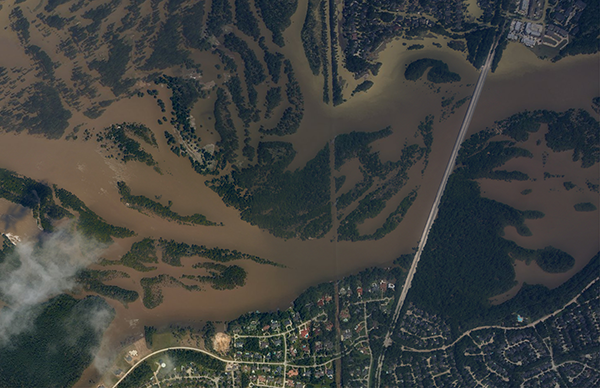 Imagery available at https://datagateway.nrcs.usda.gov/. 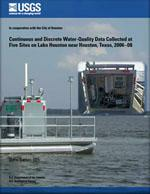 Real-time continuous data is collected at 31 gages in the Lake Houston watershed. 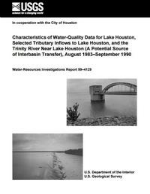 Reservoir stage and capacity are collected at three reservoirs; discharge and gage height are monitoried along the mainstem of the San Jacinto River and tributaries feeding into Lake Houston; and water temperature, specific conductance, pH, dissolved oxygen, and trubidity are monitored at seven gages. 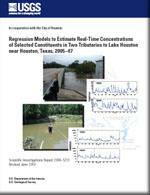 Real-time continusous data is augmented and verified with discrete samples collected throughout the Lake Houston watershed. 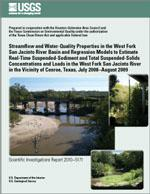 Water-quality, streamflow, and reservoir data are available as part of USGS data products.